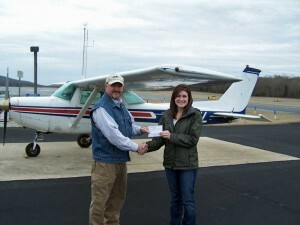 Brittany Waddell is now a Private Pilot! 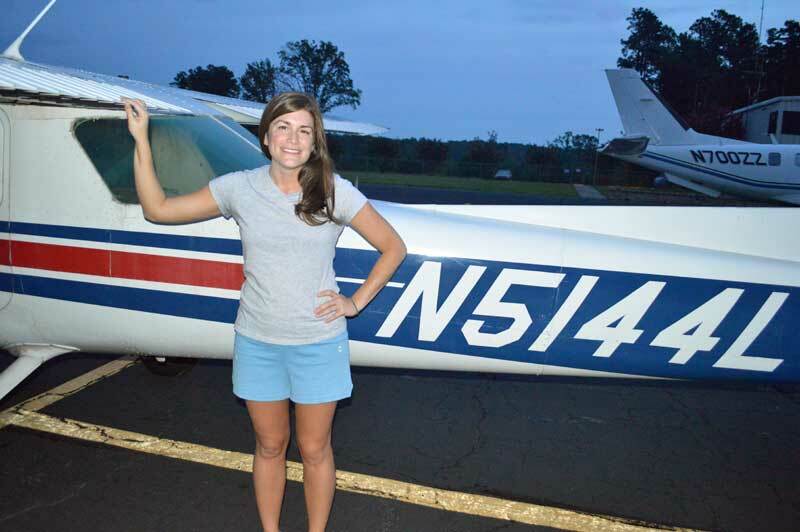 She flew to Asheboro on 3-9-15 in a Cessna 152, N5144L, where she took her check ride with Designated Pilot Examiner Greg Hudson. Brittany will be a great role model for women in aviation. Only 40,000 women in the U.S. claim the title of a pilot. Her father will be her first passenger. Last year Brittany Waddell was looking for a new challenge … and she learned how to fly! 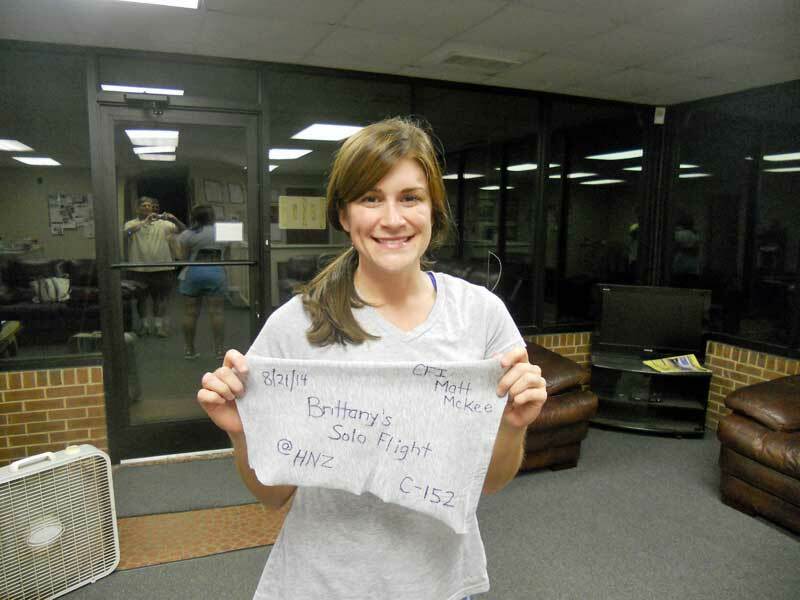 Below are some pictures from 8-21-14 when Brittany took to the skies on her first solo flight. 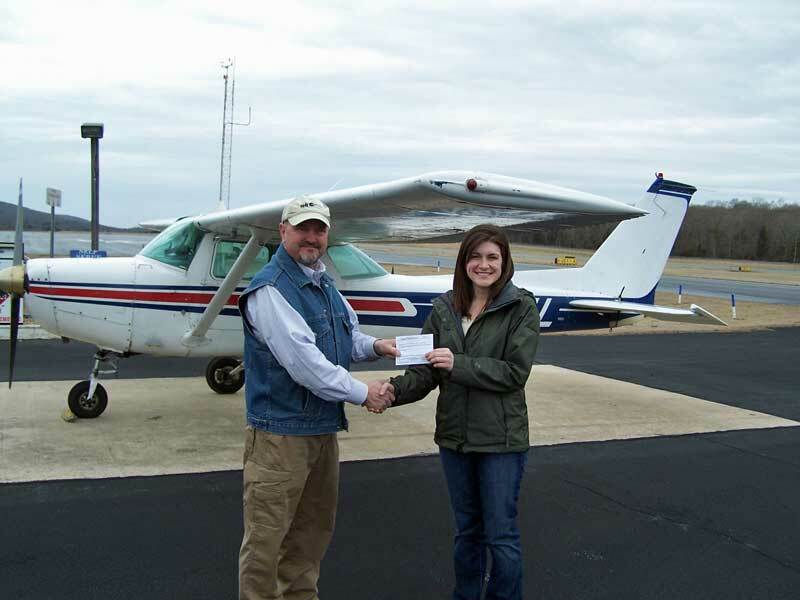 She completed three solo take off and landings in a Cessna 152, N5144L. Brittany is a sentimental person who was happy to have her shirt tail cut as a reminder of her accomplishment.